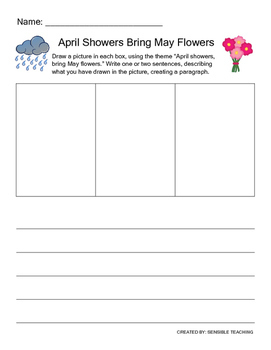 This activity is meant for Kindergarten and First graders, who are learning to write simple paragraphs. Drawing a series of pictures and then writing a sentence for each picture, is a great way to help them focus their ideas. If you download this item, please leave a review so that I know what I can do better in the future!